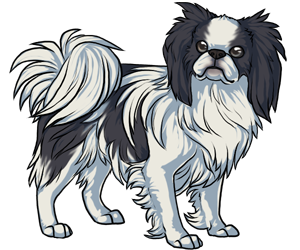 The Japanese Chin developed in China and was a royal pet. They were the companions of the ladies of the Imperial Palace and of Chinese aristocracy. The breed is centuries old and have been depicted on ancient pottery and blankets. They were royal pets which means no one except nobility could purchase them. The breed was actually bred in China, not Japan. They were used as gifts and only given to people who did outstanding service to China.